Soul-stirring celebration or crass cultural exploitation? 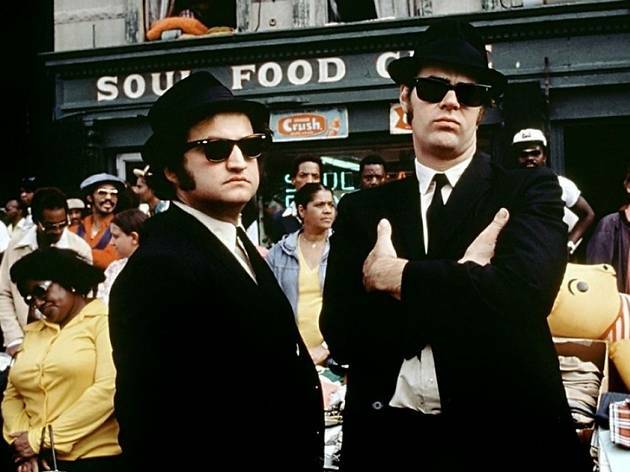 Truth is, ‘The Blues Brothers’ is a bit of both, lending exposure to rhythm and blues legends who might otherwise have faded into silence while at the same time treating black culture as a colourful pantomime backdrop for the antics of two white comedians. That Dan Aykroyd and John Belushi adore this music is not in question – it’s lovingly chosen and brilliantly performed – but the film sometimes feels like a work of cultural tourism, particularly in scenes set in a gospel church and a Chicago street market. These lively musical sequences also sit awkwardly with director John Landis’s bizarre predilection for wholesale destruction: sure, smashing up cop cars can be fun, but Landis takes things to a tiresome extreme. 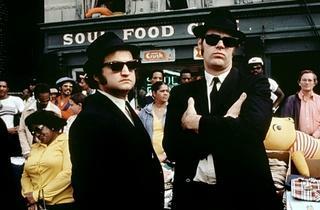 Still, the film retains a huge nostalgic kick, thanks in large part to Aykroyd and Belushi’s easy rapport, a smattering of daft, shaggy humour and some truly iconic musical sequences.